Engineered to tackle light-duty jobs, the 2018 Ram 1500 offers the crew, regular and Quad Cab cabins. Also designed to handle light-duty missions, the Ford F-150 comes in the regular, SuperCab and SuperCrew styles. The Ram 1500’s EcoDiesel engine outperforms three of the F-150’s gas engines. Additionally, the Active-Level Four-Corner Air Suspension and RamBox Cargo Management are some class-exclusive features that are available in this Ram truck. Five engines are available in the Ford F-150, but all of them run on unleaded gasoline. Ford has traditionally avoided using diesel technology for most of its vehicles. However, the Ram company has been more than thrilled to integrate the 3.0 EcoDiesel into the 2018 1500 model. You can easily extract 420 pound-feet of torque from this six-cylinder engine. By comparison, the F-150’s Ti-VCT V6 and V8 engines can’t match the torque output of the EcoDiesel engine. Even the turbocharged 2.7 L EcoBoost engine doesn’t deliver as much torque as this compact diesel engine. When equipped with the 5.7 L V8 engine that’s modeled after the traditional HEMI platform, the Ram 1500 gets 395 horsepower. Running on twin-scroll turbochargers, the F-150’s EcoBoost V6 engine can’t produce more hp than the HEMI engine. Only the high-output edition of the EcoBoost V6 engine can beat the 5.7 L HEMI V8 engine. This six-cylinder engine is installed in the limited-edition Raptor trim that comes with a steep price tag. When you need to shift the 2018 Ram 1500 into a particular gear, just turn an electronic rotary dial that’s connected to the TorqueFlite automatic transmission. This eight-speed transmission is controlled by the Thermal Management System that prevents overheating. Paired with the 3.3 L Ti-VCT engine, the Ford F-150’s six-speed automatic transmission system isn’t as dynamic as the TorqueFlite transmission. However, all of the other engines in this Ford pickup truck are synced with a 10-speed automatic transmission. When looking at the drivetrain of the Ram 1500 and F-150, it’s not surprising that a 4×4 drive is available. The rear differential axle on this Ram has an anti-spin design that’s tuned for agile handling on mud and surfaces with depressions. A 3.92 axle ratio ensures a smooth ride on rough surfaces or elevated roads. Extra support is provided by the Active-Level Four-Corner Air Suspension, which isn’t matched by anything comparable in the Ford F-150. Equipped with the RamBox Cargo Management, the 2018 Ram 1500 probably has one of the smartest and most convenient exterior storage systems on the auto marketplace. Integrated into the side rails of the bed, this signature box has several dividers that can be adjusted based on the sizes of your tools and other miscellaneous items. With the touch of an electronic key, you can conveniently lock or unlock the AllSecure Central Locking System on the RamBox Cargo Management. LED bulbs also illuminate the interior of the storage system and other parts of the bed. Covered in chrome, tubular side steps provide good leverage for entering and exiting this Ram pickup truck. Despite having a remote release function for the tailgate, the Ford F-150 still lacks some of the utilities that are offered by the 1500 model. Are you ready to test drive the 2018 Ram 1500? Then call us today for an appointment. 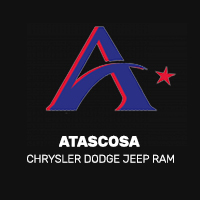 During your visit to our dealership, you’ll clearly see how this Ram pickup truck beats the 2018 Ford F-150 in various categories.